Missouri’s GOP Senator Roy Blunt took to the chamber’s floor Wednesday to speak extensively about the Republican tax plan and the judicial process during an prolonged debate over a circuit court nominee. Blunt said most Americans would see a substantial tax break in their paychecks beginning in January. He criticized Democrats for focusing on projected middle and working-class tax increases in 2025 and 2027, claiming Congress could make adjustments to avoid those scenarios. Blunt said Republicans, who are planning to pass their proposal on party lines, would be recognized for providing immediate tax relief. He stated that “hundreds of economists” had looked at the plan and concluded that the U.S. will be the best place for business investment that’ll create job opportunities. The second-term U.S. Senator also said the Senate’s progress in clearing judges to serve on the federal bench is boosting public confidence in the judicial system. He noted 12 percent of all judicial seats were vacant when President Trump took office, which gives the former reality TV show icon almost unprecedented freedom in shaping the court system. Blunt praised Trump’s nomination of conservative Justice Neil Gorsuch to the U.S. Supreme Court, saying the former circuit court judge had proven himself through his decisions over a 10-year period. 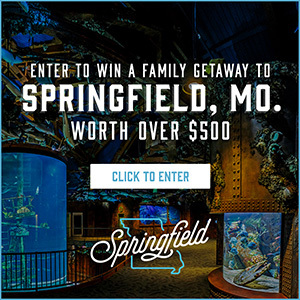 The Missouri Republican said he had confidence the President would continue to nominate judges in the spirit of the late high bench Justice Antonin Scalia, who Blunt said had a 26-year legacy of strictly interpreting laws, not passing judgement on what Congress should have done. Blunt noted that there are more than 140 lifetime vacancies on the federal bench. He predicted the Senate would confirm 12 Trump nominated judges before the end of the year, which he speculated would be a post-World War II record. He said the Senate has the responsibility to fill the vacancies as quickly as possible to restore the balance of power between the legislative, executive and judicial branches of government. Blunt criticized Senate Democrats for abusing their power by calling for 30-hours of debate on a judicial nominee, and then using the time to stump for other issues. He suggested the upper chamber should change it’s rules if Democrats continue to slow down progress through procedural delays. 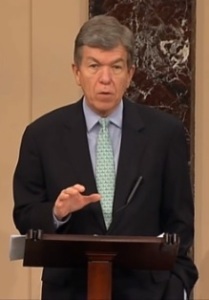 Blunt spoke on the Senate floor for nearly 10 minutes Wednesday.